Human development is a fascinating phenomenon, not only because that relates to the changes from conception to death, but also because is a multidimensional phenomenon and multi-faceted with a variety of contexts, and conscious, creative and competent to take the task of life gives a chance satisfactory development. 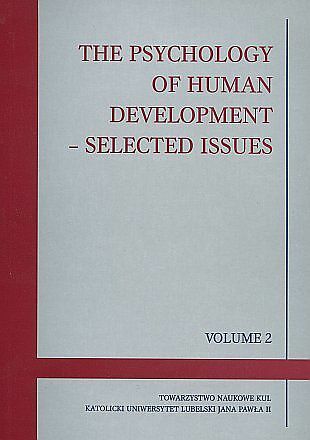 THE PSYCHOLOGY OF HUMAN DEVELOPMENT - SELECTED ISSUES, Vol. 2 take theoretical and methodological issues, as well as for understanding the essence of development in the course of life on the issues concerning the nature of developmental changes their mechanism, and also used for their recognition of the empirical methodology.